Jamieson Vitamin C 1000mg Timed Release 100caplets. Jamieson Energy-C 1000mg 14sachets×5.4g individual sachets. Jamieson Vitamin C 250mg Gummies Tangy Orange 60gummies. 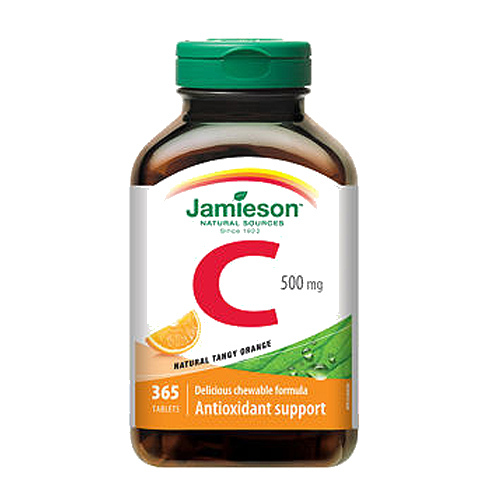 Jamieson Vitamin C 500mg-Timed Release Capsule 100capsules. Jamieson Vitamin C Chewable 500mg + D 500IU 75tablets. Jamieson Vitamin C Chewable 500mg Wild Blueberry 120tablets. Jamieson Vitamin C Chewable 500mg Tropical Fruit 120tablets. Jamieson Vitamin C Chewable 500mg Mixed 3 Flavours 120tablets.